Black Sheep G-Fuzz is a Vintage Fuzz pedal that achieves classic fuzz tones of the late '60s/early '70s era. It's simple controls allow the G-Fuzz to do one thing and do it well, taking you from classic rock to contemporary fusion. Fuzz has been applied to guitar signals for decades to weave a unique musical texture - either by itself, or to aggravate the input of an already overdriven tube amp. This compact pedal's two pots - Volume and Fuzz – let’s you effortlessly dial up anything from relatively tame silken fuzz to snarly, sputtery, and full-on nasty fuzz tone. Its full metal casing makes it durable and road ready, and like most great effects pedals it has true bypass. 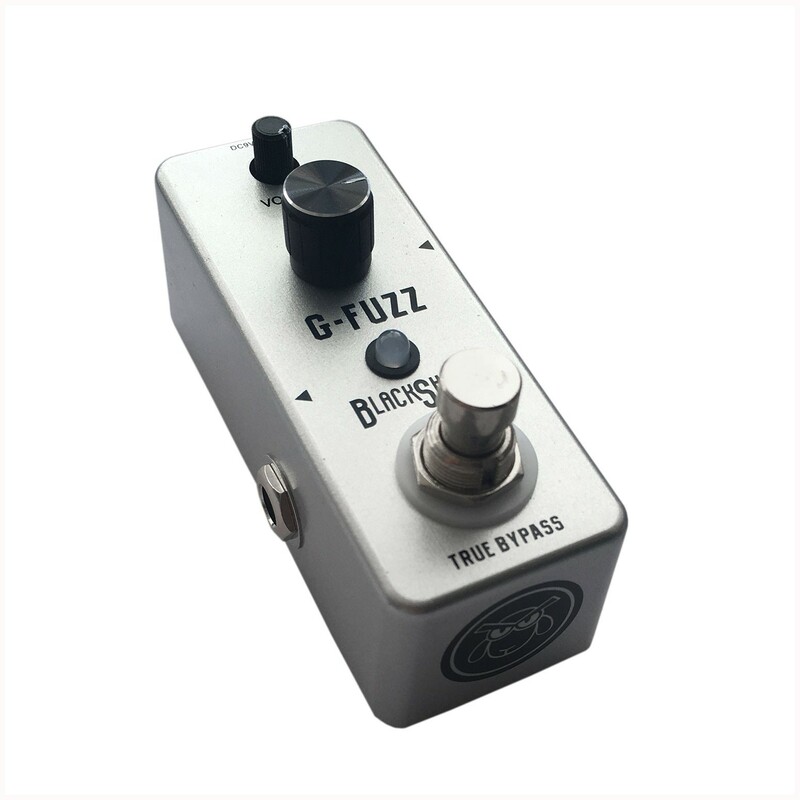 G-Fuzz gives you that classic late 60’s sound at an affordable price.